Are you thinking about how to go glam this prom so that you not only bag the title of the Prom Queen but also become the talk of the town for years? Then, you need to showcase your enigmatic sense of fashion and try something unique. One of the best choices that will simply turn heads this prom is the mermaid style gown. A hugely popular number, that is raging on all occasions right from the weddings to the private parties and homecomings, this is also a great pick for the proms. 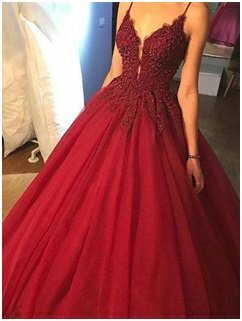 Available in plenty of neckline and sleeve options along with a myriad variety of colors, this style of dress, with its body-hugging silhouette and a very dreamy but charming fishtail that sweeps across the floor, is going to help you make a grand entry to this year’s prom.